Fire doors are a fact of life for many Twin Cities-area operations. Not only are they often required by code and regulation, but they’re also an ideal solution for protecting your property, assets and people. At O&L Door Systems, we offer a wide selection of fire doors, which gives you options as you search for the perfect fit. In addition to commercial fire door installation, we also offer commercial fire door repairs and assessments. In short, when you need new commercial fire doors in Burnsville and surrounding areas or require service on existing fire doors, we are your go-to service provider. Fire doors are a good idea in buildings that include boiler rooms, chemicals and other areas and materials that increase the risk of fire. Fire doors are insulated, which helps them reduce the impact of a fire and any injuries or damage that may result from one. They effectively place a shield between at-risk areas like boiler rooms and the normal traffic of people who flow through your location. 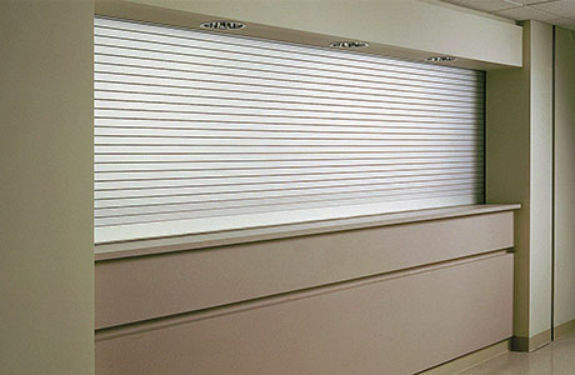 Keep your business as secure as possible when you choose the protective power of commercial fire doors. Fire doors help your organization adhere to local codes and regulations, but they also help prevent devastating damage from ravaging your building. When fires break out, they can spread quickly. Fire doors prevent a fire from spreading. When you choose new commercial fire doors in Eagan and surrounding areas, those doors can keep a fire contained in a certain area. Often, fire doors can prevent a fire from spreading just long enough for the fire department to show up and get the fire under control. There are no guarantees in a fire, but when you choose commercial fire doors, you’re decreasing the chances that your facility and the people who use it will experience damage or harm. For more than 20 years, O&L Door Systems has been working with Twin Cities-area businesses. We are deeply familiar with local codes and regulations, which gives us an added advantage when installing commercial fire doors. When you’re opening a new location or trying to remedy a code violation, we can quickly assess your situation, make recommendations and execute the installation needed to get you ready for opening or back in compliance. We have a long history of delivering high-quality products and outstanding service to our customers. We are not just knowledgeable and experienced, we also truly care about creating the best possible outcomes for businesses. That commitment has allowed us to develop the long-term relationships that serve as the heartbeat of our organization. For all things related to fire doors in the Twin Cities area, count on the products and team at O&L Door Systems.